In the 1980’s, Professor Francisco Seirul·lo Vargas was the responsible for a detailed study and exchange with the best European schools of sport initiation (focusing primarily on the ex-German Democratic Republic (D.D.R. ), and complemented with applications from the sport schools of Russia, France, Italy and Scandinavia). The objective of this research project was to elaborate a thorough summary that would allow for coordination and participation in the creation and practical development of the C.I.D. 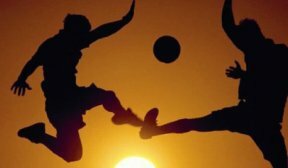 Centers of Sport Initiation in Spain. These Centers of Sport Initiation have since become a very prestigious international reference for proper sports related youth development. The alternative proposed by Professor Francisco Seirul·lo Vargas focuses on the athlete, his/her needs as an individual, therefore the situations proposed are only subject to the requirements that competitive sport creates in the individual practice; understanding the individual as unique, open, and in continuous interaction with the environment. Training methods based on these criteria have been used to plan the training contents of youth athletes in FC Barcelona since the early 90s, and all coaches are formally educated in the methodology to ensure is successful implementation.